Without question, the romantic city of Paris has a lot to offer and shouldn’t be missed, but don’t overlook the rich and varied countryside when visiting France. Venturing beyond the City of Lights is a journey of the senses. 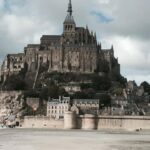 Each region boasts it’s own treasures – traditional recipes found only in that region of France, varied landscape ranging from majestic mountains to quaint seaside villages or luxurious beachfront resorts, and still very visible today is the historical evidence of the Celts, Greeks, Romans and Franks. In addition, several fascinating caves filled with prehistoric drawings have been found. Distinctive cheeses and wines are produced in various parts of the French countryside, further setting each region apart. 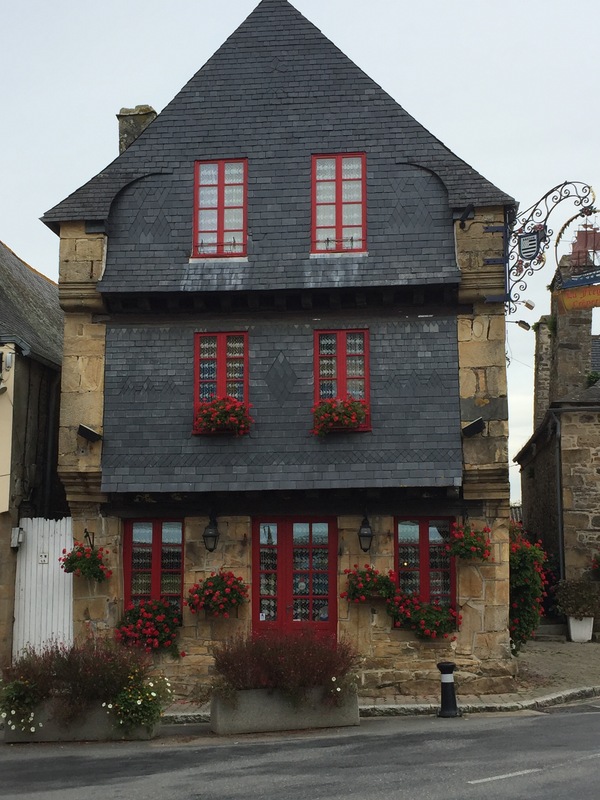 For over 20 years, I have delighted in exploring France, and there still remains a lot to be discovered. 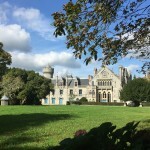 A recent month-long exploration of Brittany in the northwest introduced me to new foods and delicious apple cider, the Celtic language (sub-titled on most road signs) and mysterious stone monoliths. Even having visited the infamous medieval city and abbey of Mont Saint-Michel before, I was eager to once again visit this stunning example of man’s ingenuity in design. 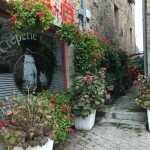 Miles and miles of scenic coastline canbe explored on wonderful footpaths in Brittany. Roads are in excellent condition making it easy to drive on your own and the region is well served by train. 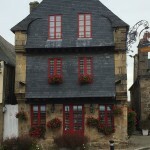 Here are a few photos to give you a glimpse of this beautiful and peaceful region of France, but I encourage you to take your own photos and create your own memories. Let our experience show you how–call us today to begin planning your custom journey into the French countryside! Another year is here once again. It’s time to carefully plan your 2015. Plot your adventures for a more memorable twelve months. If you haven’t traveled much last year, you can always make up this year and go to many places and gain new discoveries. There may be a lot of interesting places in your state or country but it is highly recommended that you go out of your comfort zones. This year, take the chance of having an exciting experience in some of the top European destinations. Here at Gateway Destinations, we have excellent travel and tour packages to help you experience a wonderful girlfriend getaway, your dream honeymoon, memorable family vacations, or unique specialty tours. Traveling is important because it gives you a new perspective and new ideas. Traveling will also give you a chance to meet new people, as well as, experience a time out from your stressful life. So where will 2015 take you? 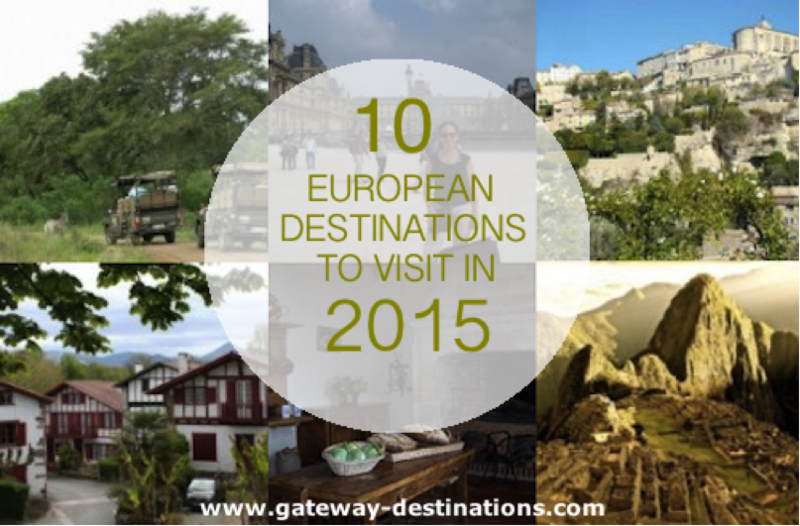 We have listed the Top Travel Trends some of the more popular European destinations. We promise you a memorable trip to these places because we’ve planned them with interesting activities, great places to shop, new things to discover, and more. Discover the mythological rich history of Athens with its prominent archaeological wonders of ancient times set in the midst of modern surroundings. Savor great food, enjoy abundant shopping and experience the lively atmosphere of this vibrant city. Spend relaxing days in the “other side of Tuscany,” the Versilia Coast, with its beautiful and expansive beaches. Venture further south to explore the five cliff-side villages of the Cinque Terre. Paris has always been the top travel destination for couples but the City of Lovers is also a favorite of women going on tours with their girlfriends. We even included it in our list of Top 9 Destinations for Girlfriend Getaways. Paris in August can be fun but going to the city anytime of the year is quite lovely especially when you’re travelling with the people you love. 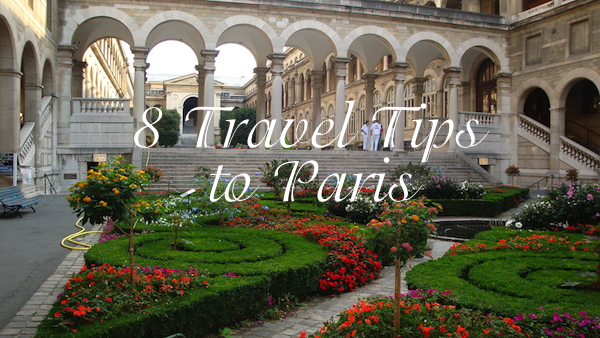 Research early on what to do and where to stay while in Paris. Map out your itinerary and prepare a schedule. You can get a real map or download a Maps app on your smartphone or tablet to use. A guide map will help you to not get lost in the city. Of course, a trip to Paris won’t be complete without seeing the Eiffel Tower. If you want to go up the tower, expect long lines wrapping the structure. The best time to go there is early in the morning and very late at night to avoid the rush. Make sure you visit the most popular sites in Paris. The Notre Dame, The Louvre, and the Luxembourg Garden are only some of the must-see tourist spots in the city. Make the most of your Parisian trip by having your photo taken in these places. You will be riding the subway a lot so it is advisable you buy a day pass. It’s cheaper, more economical, and more convenient to use. 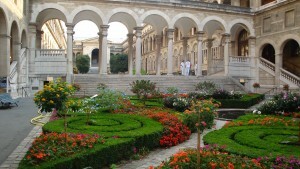 You will also be visiting a lot of museums. Get a museum pass and you’ll save money. Learn the basic French phrases so you’ll survive in the city. “Merci!” means ‘Thank you’. “Ou est le metro?” means “Where is the subway?”. To ask “Do you speak English?”, say “Parlez-vous Anglais?”. Get on a boat cruise in the evening. End the day with a lovely boat cruise along the Seine River. Discover the City of Lights. You’ll see the beauty of Paris all lit up. Gateway Destinations can plan a luxurious Parisian trip for you. The team knows best how a women-only journey should go. Taste the regional wines at a local vineyard, learn the secrets of cooking rustic French dishes, or just shop in Paris to your heart’s content. Want to see Paris without a lot of crowds? 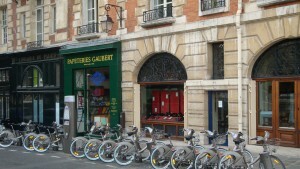 Then consider visiting in August when most Parisians leave the city for their vacation. This is especially advantageous if you are driving as traffic is much lighter. Public transportation is also less crowded. You may have to contend with some smaller stores being closed, but there is still an endless number of things to see and do. Paris can have warms days in August, so make sure you reserve a hotel with air conditioning. Evening weather is quite lovely and with the extended daylight hours (light until about 9:30 pm), you can enjoy Paris late into the evening. Having just spent 10 days in Paris leading a private tour, I found that getting around Paris was much easier than normal. 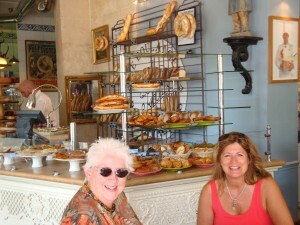 We were only disappointed by a few shop or restaurant closures, but Paris is full of lots of other choices. We took advantage of the long days with pleasant evenings and scheduled some of our activities late in the day to make sure we covered everything we planned. From visiting museums and beautiful cathedrals, cruising on the Seine River, enjoying the Moulin Rouge, fine dining, exploring the flea market, and delighting in delicious bakeries, tea houses, and chocolate shops, we experienced a generous slice of what Paris has to offer. Be prepared for lots of walking as Paris is best explored on foot (or bicycle), even though public transportation is readily available and reasonably priced. Concentrating on one area per day will reduce the amount of walking required, however, and allow you to explore an area in-depth. Paris has recently introduced a wonderful system of inexpensive bike rentals throughout the city where you pick up at one location and drop off at a different location. Outdoor cafés are easily found throughout Paris in summer and are an inviting place to watch the world go by while sipping a delicious espresso or relaxing glass of wine. Even with all the architectural beauty and rich history that Paris exudes, enjoying a few relaxing moments in a neighborhood bistro or park remains one of my favorite ways to embrace Paris and experience la belle vie!